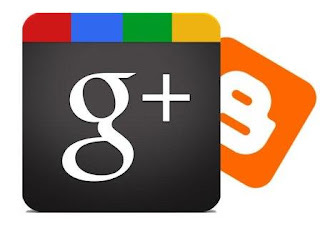 How To Post Blog Posts on Google Plus Automatically? No matter what sort of business organization or company you are running, social media is one major channel for marketing your stuff and keeping the people informed about your updates and whereabouts. Platforms like Facebook, Twitter, Google Plus and LinkedIn are the mainstream and yet the most powerful of these networks. However, running your company pages on these websites is not easy as it sounds. You have to take care of the timings and whatnot. Automating the procedure by scheduling the posts is however a great solution to this. Although there are several tools to do the job, the most efficient and diversified has to be the BufferApp because of its Google Plus support unlike many others out there. It is worth noticing that you couldn't easily auto-post to Google Plus, because the Google+ API provided no such leisure. But now, you can get the job done with the BufferApp! How to auto-post to Google+ Page? Open up their website and register for your free account. You can also directly Sign In using your Facebook, Twitter or LinkedIn profiles. BufferApp currently doesn’t support Google Plus profiles, just pages (For the same reason mentioned above - i.e. Google+ API doesn't grant access to profiles, yet). To add yours, click on that plus sign beside Accounts and click on Connect a Page under the Google Plus logo at the far right. It’ll ask you your account details and/or some other details as well. Just tell it what it asks and you’re good to go. BufferApp will also ask for some permissions which you should simple accept in order to make things run fine. You will then be asked to select the Google Plus page of yours that you want to associate with BufferApp. Associating multiple pages at a time is also supported.